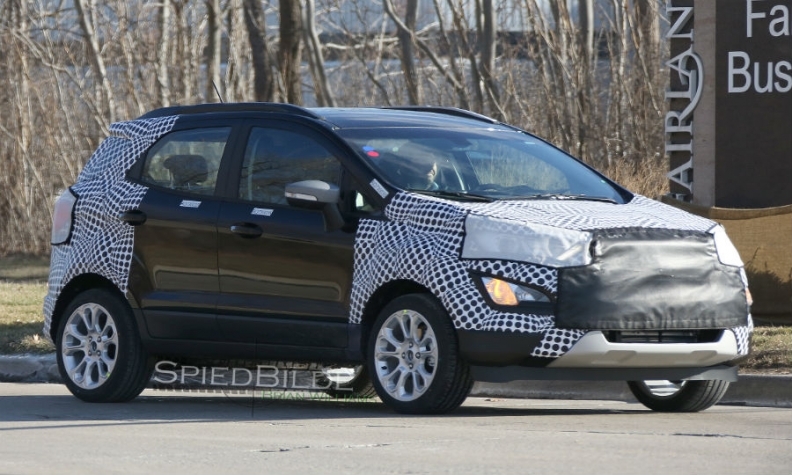 Ford EcoSport subcompact crossover set to arrive in N.A. Rap artist DJ Khaled posted on Snapchat late Wednesday night that he would be in L.A. to help unveil the Ford EcoSport vehicle next week. DETROIT -- Ford Motor Co. on Monday will unveil a new EcoSport subcompact crossover for the North American market in advance of the 2016 Los Angeles Auto Show. Rap artist DJ Khaled posted on Snapchat late Wednesday night that he would be in L.A. to help unveil the vehicle next week. A spokesman for the Dearborn automaker confirmed the release late Wednesday, but did not immediately say when the vehicle would go on sale. Ford has sold the EcoSport for years in Europe, and former CEO Alan Mulally said in the past that the crossover would eventually be sold in the U.S.
Ford earlier this year said it planned to introduce four all-new utility vehicles to its Ford and Lincoln brands. Ford’s lineup includes the Edge, Escape, Explorer and Expedition. Lincoln has the MKC, MKX, MKT and Navigator.